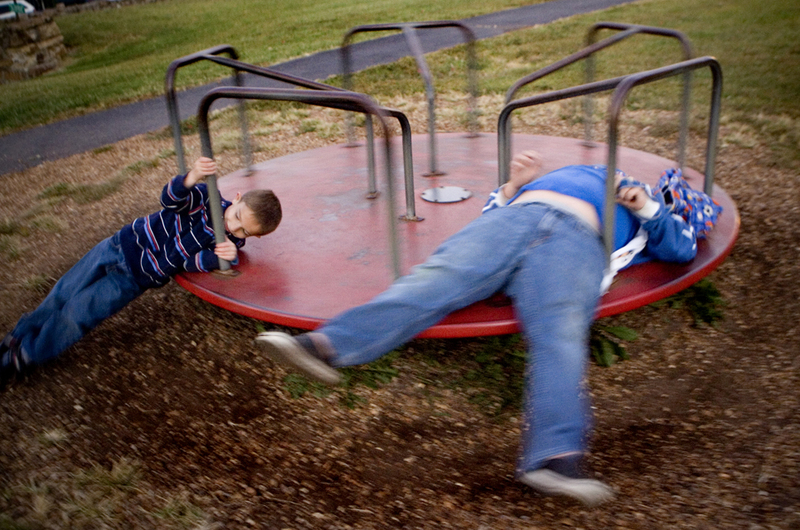 Artie (left) and Chad Gregg, of Alto pass, play on a playground in downtown Alto Pass during the first annual Fall Festival. Julie Buck, the boys babysitter says, “We come here often when I babysit the boys”. The festival featured BBQ competitions, a craft fair, and live music. J.J. Castro, left, leans in to talk to Luis Hurtado, a.k.a. “Mouse”, after work, Friday, October, 1 2010. Castro says, This is how we make plans. After work we walk around and find people and see what everyones doing”. 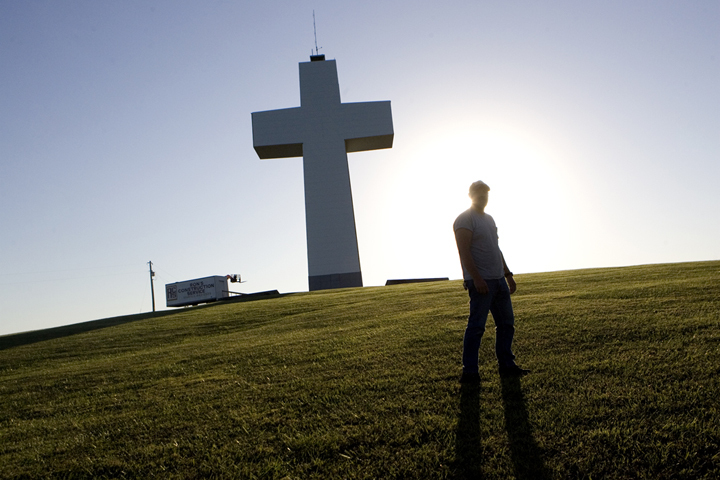 Roger Gibson, of Alto Pass, walks the grounds at Bald Know Cross of Peace, October 2, 2010. 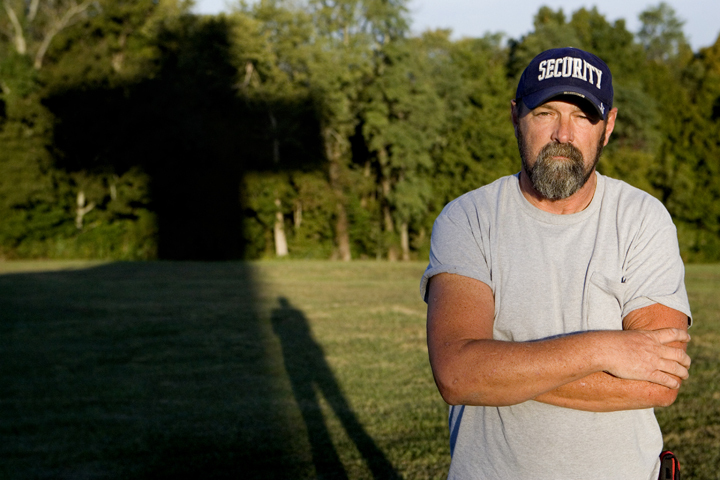 Gibson has made it his life’s goal of protecting the cross from vandal. The cross, which was originally completed in 1963, is in the midst of being renovated after years of neglect and vandalism. Gibson has been in charge of security for several years at the cross and presently lives in the sanctuary on the property. He says of living in solitude on Bald Knob, “I’d live here the rest of my life if I could. Gods presence is so strong here”. This entry was posted on October 9, 2010 by Brooke Stevens. It was filed under People .